Are you planning your or your friend’s wedding and are looking to get inspired? Then don’t forget to visit one of the winter/spring wedding shows in Ottawa coming up in the near future. Don’t miss the chance to see the vendors from your area gathered in one place. Everything you need to know about your wedding presented by many professional exhibitors. You will find vendors from all corners – caterers, photographers, venue possibilities, and much more. And these wedding shows are actual shows! You will be eligible for special discounts, fabulous door prizes, attending fashion shows and much more. Ottawa’s brides & grooms to be shouldn’t miss these bridal shows! And bringing your friends to these events and planning your big day with them will add some extra fun! A bridal show for modern, non-traditional weddings, with a unique venue and personalized theme. The first LGBTQ+ couples’ wedding show in 2016 was a big success, so they’re throwing the second one this March. Pure Magnolia will present their couture gowns and bridesmaids’ dresses for the eco-conscious brides to be at this traveling trunk show. 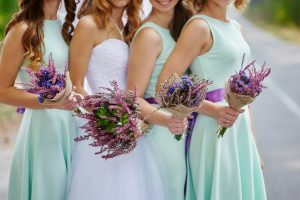 Don’t miss this wedding show held in an old church for alternative brides and grooms trying to customize their wedding through unique and personal details. This is Ottawa’s premiere event in the wedding industry. A wide range of wedding experts will present their wedding products. It’s a two-day event, so you can make a weekend fun event with your friends out of it! There’s even a bridal party ticket discount if you visit with more people.